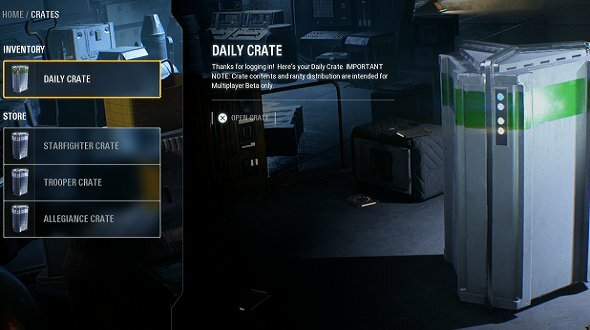 The ESRB rating board have announced they will soon be assigning a new “In-Game Purchases” label to physical games that contain loot boxes or microtransactions. Know your chances. Here are League of Legends’ loot box odds. In other words, pretty much every modern videogame is covered by this label – rendering it almost useless. However, ESRB have assured the public this is merely the first step in their campaign. “The video game industry is evolving and innovating continually, as is the ESRB rating system. ESRB’s goal is to ensure that parents have the most up-to-date and comprehensive tools at their disposal to help them decide which games are appropriate for their children,” ESRB president Patricia Vance says in a press release. In a roundtable call with GamesIndustry.biz, Vance acknowledged the elephant in the room – why aren’t ESRB tackling loot boxes specifically? Vance explained in the call that, after conducting much research into the topic, the “large majority of parents don’t know what a loot box is.” She also explained that when loot boxes were explained, parents were more concerned about their children spending money than the loot box/gambling aspect. The new label is currently only be added to physical games, as digital games in storefronts such Microsoft Store, the Nintendo eShop and Google Play already have a “Digital Purchases” label. However, the “Digital Purchases” label will soon be changed to conform to the “In-Game Purchases” label. In addition, ESRB also launched ParentalTools.org, a new website that provides parents with a detailed introduction to the the “In-Game Purchases” label, step-by-step guides to setting up parental controls on a variety of platforms, a link to ESRB ratings and why they’re there, as well as a host of other resources for concerned parents. ParentalTools.org is part of a wider campaign by ESRB to help educate parents on how to manage the games their children play at home. More details are available at ESRB’s website.